Cellular homoeostasis is a crucial prerequisite for health and good function. Although the study of all the mechanisms involved in maintaining homoeostasis is extremely complicated and confusing, it is nevertheless possible to examine certain processes which play an important role in the orchestration of events designed to maintain efficient cell function. One such process is the role of AMPK (5' adenosine monophosphate-activated protein kinase), an enzyme which is present both in lower (yeast) and higher (human) organisms. This plays a part in energy homoeostasis that is thought to be an ‘energy sensor’ which detects any changes in energy compounds such as adenosine monophosphate (AMP), adenosine diphosphate (ADP) and adenosine triphosphate (ATP) (1) – see figure 1. Figure 1: When energy is required, ATP is hydrolysed into ADP and then AMP, releasing energy. Increasing levels of AMP stimulates AMPK, but increasing levels of ATP blocks it. What happens is that energy needed for muscle contraction (for example), is provided by ATP, a high-energy molecule, which releases energy and may be hydrolysed to AMP, a lower-energy molecule. When the ratio between AMP - ATP changes (for example, when the concentration of AMP increases), this leads to AMPK activation which re-balances the energy needed for the process. Activation of the AMPK molecule happens through a complex process which depends on several other factors. AMPK stimulates the oxidation of fatty acids in the liver, regulates the uptake of glucose by the cell, inhibits the lysis of fat cells (adipocytes) and stimulates energy production in muscle and in other tissues. Figure 2: The action of AMPK on different organs. AMPK plays an active role in weight control. For example, when the function of AMPK is blocked in laboratory animals, it results in the animals having a reduced appetite and so they lose weight. But when AMPK activity is enhanced, the animals eat more and their weight is increased. This is a complicated process that depends on other factors, so the function of AMPK is best described as a ‘modulation’. One way AMPK is implicated in weight control is via its influence on compounds such as leptin and adiponectin. These regulate appetite, improve utilization of glucose in both muscle and brain, and control fatty acid metabolism (2). There are several compounds and drugs that affect the function of AMPK. Below is a short list of some examples. 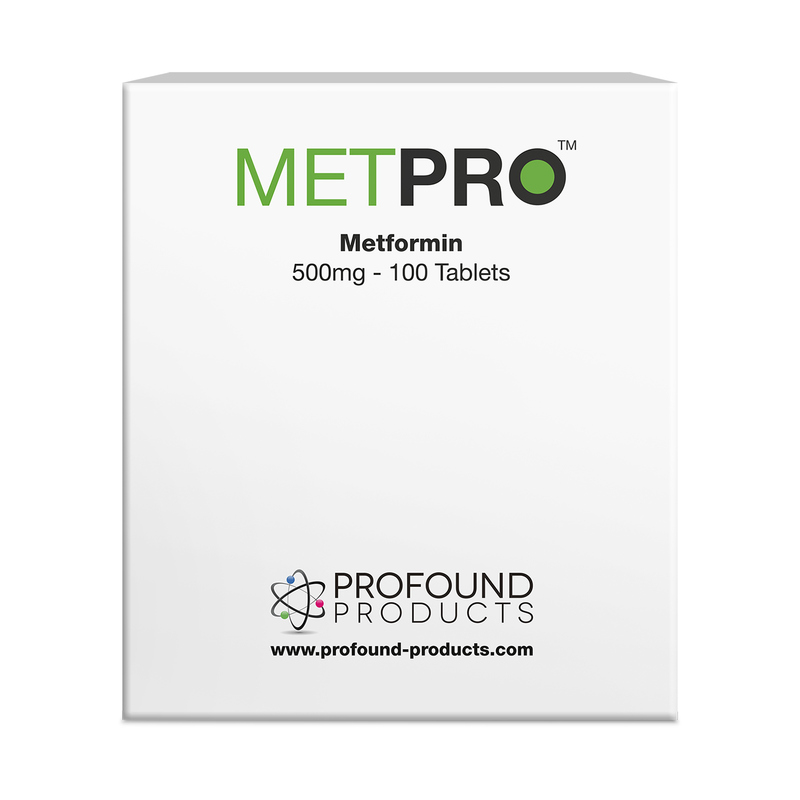 Metformin, a well-known antidiabetic agent, has gained increasing popularity as a possible anti-aging drug. It is an AMPK activator and regulates energy metabolism in the entire organism. It regulates neuronal apoptosis through both AMPK-dependent and AMPK-independent processes (4). Metformin decreases energy levels in cells and acts as a stimulus for AMPK activation. Following this, there is a decrease in insulin growth factor 1 (IGF-1). In this way, metformin acts as a potential anticancer agent. This action also depends on another signalling pathway, that of mTOR (see issue 3, 2015 of the Aging Matters™ magazine). This is an alkaloid, a typical AMPK activator molecule, which is also used as an anti-bacterial and anti-inflammatory compound. Berberine is an extract from various plants, and is well known in traditional Chinese medicine for its anti-inflammation effects. Berberine has been found to up-regulate AMPK and regulate the function of both mitochondria and neurons (3). Quercetin is a well-researched polyphenol with a variety of health benefits. It has been shown to improve cancer risk in the prostate, breast and liver. Research shows one of its mechanisms to be an inhibitor of bladder cancer via activation of AMPK (5). Quercetin’s anti-cancer effect may also be related to its ability to activate the AMPK and Mammalian Target of Rapamycin (mTOR) signaling pathways (6), like metformin. This is an herbal remedy used in traditional medicine as a regulator of glucose and lipid metabolism. It facilitates activation of AMPK and improves metabolic dysfunction. An image of gynostemma pentaphyllum, its name ‘pentaphyllum’ means ‘five leaves’, which makes the plant easily identifiable. Gynostemma contains two specific ingredients called damulin A and damulin B, which are strong activators of AMPK (7). These two compounds also improve the uptake of glucose by the cells. This research sheds light on how AMPK is being activated. Another study showed an anti-obesity benefit of gynostemma, which is thought to be due to AMPK activation and lipid regulation (8). The process of activation is mediated by another ingredient of gynostemma called actiponin. Gynostemma has a variety of effects on metabolism due to its different chemical components, which work to regulate AMPK signalling. A combination of Gynostemma with Rosehip extracts may provide an additive effect regarding AMPK activation. Rosehips contain the compound tiliroside which improves the action of AMPK, but employs different metabolic pathways compared to gynostemma. In other words, both compounds have the same end result but use different ways to achieve it. This allows for a certain robustness of the signalling pathways which may provide the same result even if some of the intermediate steps are blocked or inhibited (9). Rosehip also regulate lipid metabolism and protect against weight gain and build-up of visceral fat (which is a known risk factor for several chronic conditions) (10), an action which has been confirmed in several experiments (11). Finally, AMPK plays a role in regulating energy supply in the brain, in association with other agents such as HIF (hypoxia-inducible factor), nitric oxide and other kinases, orchestrating an efficient use of glucose by the neurons, assisting in synaptic transmission and in information processing (12). AMPK is particularly useful in situations where there is high energy demand but low energy storage capabilities, such as in the retina. Factors such as gynostemma extracts act as adaptogens--i.e. they regulate the stress response in the brain and protect against oxidation (see figure 3). Figure 3: The function of adaptogens: these reduce both the duration and the magnitude of the stress response over time. Note, their effects are significantly improved when combined with Nicotinamide Riboside (NR). This is important because during high neuronal activity there is increased production of reactive oxygen species which may cause mitochondrial damage in the brain. Combinations of AMPK boosters may be able to both cause improved energy and protect against the consequences of this energy (i.e. oxidation, see box 1). Rosehip extracts act like adaptogens too, and reduce anxiety and cognitive dysfunction. It appears that this combination (gynostemma plus rosehips) may provide an overall beneficial effect to the neurons. New neurons are normally formed throughout our life, particularly in the hippocampus area. Aging slows down the formation of these new neurons. This is thought to be, at least in part, due to an abnormal AMPK response. The authors of the study emphasized that it is beneficial to not only increase the levels of AMPK, but the sensitivity of the neurons to AMPK as well. Receptor sensitivity to most hormones and cell signallers decreases with age. This study provided a useful model which confirmed that increasing the dose of a certain beneficial compound does not necessarily increase its therapeutic benefit, if the receptor sensitivity is impaired (13).